The story of Lagos governorship election would remain one of the most topical in the 2019 general elections. This is because the state revealed what could pass as the most potent metaphors of the inconclusive dramas that would trail the fifth election cycle in the country since Nigeria regained the path to presidential democracy. For voters in Lagos the foretaste of the deplorable backpedal in Nigeria’s democratic apparentation began with the inscrutable denial of an incumbent governor his constitutional right to seek a second and final term in office, which ordinarily would have served as a referendum on his stewardship in the outgoing four years. The framers of Nigeria’s constitution had seen the wisdom of limiting the maximum terms that those elected to the executive branch of government could stay in office to two terms. The second term aspiration was therefore predicated on providing a golden opportunity for the electorate to examine how far the occupant of the executive office applied the mandate earlier given to him as thus be in a position to pass their judgment on him. But in 2019 the exception became the rule. Entrenched political investors decided to appropriate the party machinery to deny the Lagos incumbent of that opportunity. Although that was not the first time such draconian decisions have been visited on a sitting governor, the case of Lagos was in a class of its own for many reasons. Former governor of Anambra State, Dr. Chinwoke Mbadinuju, was visited with similar harsh decision in 2002, an untoward development that forced him into a belated defection to Alliance of Democracy (AD) to test his popularity among the people, who fondly called him Odera (what is written). 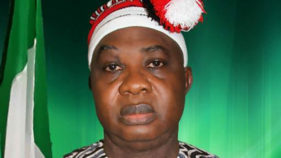 Stakeholders and godfathers of Anambra State, who plotted the ambush against Mbadinuju’s second term entitlements, cited his lackluster performance, which led to the closure of public schools for a full academic session and the chilling killing of the chairman of Onitsha branch of Nigeria Bar Association (NBA), Mr. Barnabas Igwe and his wife, Adaobi, also a lawyer. But in Governor Ambode’s case it was not so. The general impression among Lagosians is that Ambo did his best in the area of infrastructure development, even if some party faithful faulted him in the area of stomach infrastructure. 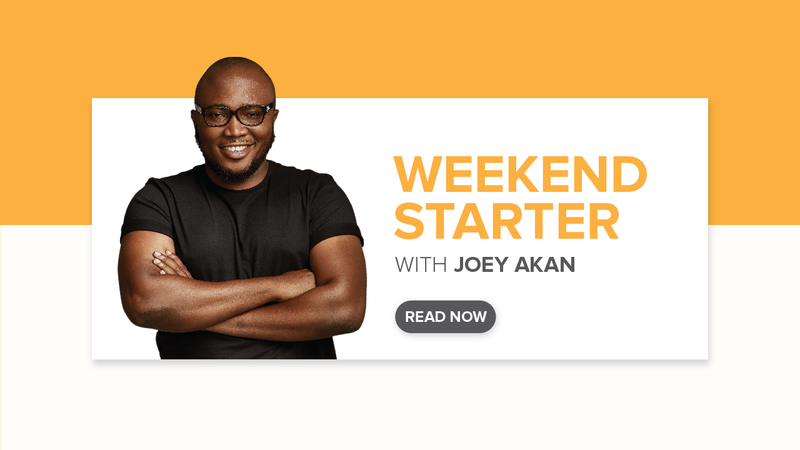 However, by denying him the party’s ticket to contest the governorship election and seek the voters’ endorsement or disapproval for a second term Lagos State witnessed some ugly sides to its cosmopolitan political economy. 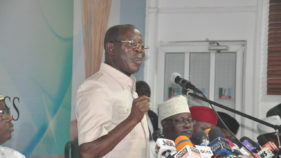 Over and above the issue of voter preferences of various segments of the electorate, the dislocation of the outgoing governor left the godfather of Lagos politics on the downside of history, because despite the attempts to obfuscate the real reason for disqualifying the emerging political actor from further appearance on the ballot, it was obvious that hubris was involved. 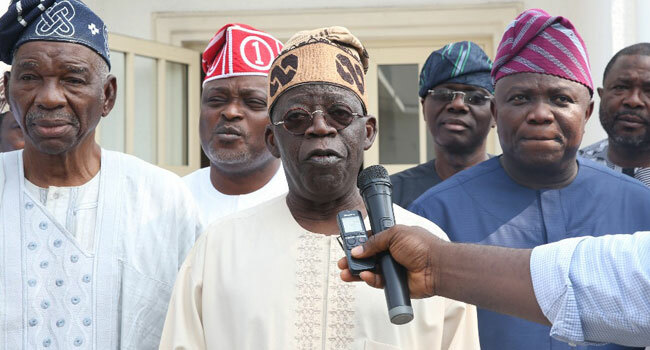 Lagos governorship poll put hallows of doubts around Asiwaju Bola Tinubu’s democratic claims, because it revealed his steady ambition to enforce a one-term mandate on his successors. It was an experiment that he stumbled upon in 2011. And by the look of things, having succeeded in shooing Ambode out of the way midway, it should be taken for granted that after the next four years, there might be a split in the Sanwo-Olu-Hamzat ticket, which was sold as two for the price of one. There are other issues, which the political long knife against Ambode exposed as well as those that would be revealed in the days to come. First was the attempt to levy violence on opposition strong holds, which was disingenuously targeted at so-called Lagos’ visitors. Furthermore, there is the possibility that efforts would be invested in trying to diminish the profiles of Ambode’s prodigious attempts at redefining infrastructure in the state. While the onslaught on the governor happened, a state governor from the Northwest disclosed how the political leader informed a small caucus that the incumbent wanted to execute signature projects that would end up erasing any mention of his contributions to what Lagos was fast becoming. When the tales of how the general election was won and lost in Lagos State would be told, there is the possibility that Ambode could emerge as the unwilling hero, while certain potentates would be struggling to explain the reasons that informed their actions or inactions. APART from the recourse to violence, the governorship election in Lagos puts a burden on the incoming administration, because the photographs of bullion vans making their ways to and from a street in Ikoyi left the impression that vote buying played a great role. 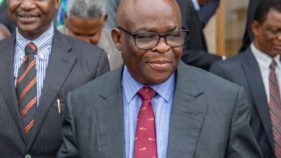 Not that alone, there were indications that the voting public was prepared to visit some terminal punishment on the ruling All Progressives Congress (APC) for denying its governor a second term ticket ‘for not carrying everybody along’. The immigrant population in Lagos therefore became the scapegoats for a milling distaste for godfather politics in the state, which culminated in the open narratives that immigrants have been calling the shots in the state mainly for the reason of their ethnic affinity. Perhaps knowing that he would have been made a worse victim through group attacks and accusations of anti-party, the incumbent governor played the good party man by aligning and campaigning vigorously for the beneficiaries of APC’s governorship direct primary. The governorship election in Lagos State has little to do with Ambode and Sanwo-Olu, but much to do with the political survival designs of the of the godfather, whose place in the ruling party has come under serious question and become subject of intense debates. Other godfathers in similar position are Senator Godswill Akpabio and Minister of Transportation, Rotimi Amaechi, who in apparent scheme to display their popularity, were rebuffed by the people. These were yesterday’s men who touted popular notions about democracy, the rule of law and fiscal inclusiveness of communities, but who the 2019 election located on the wrong side of public aspiration. O to oge might have failed to bear fruit in the Centre of Excellence, but there is no gainsaying the fact that the days when one man would serve as a rallying point for political decisions are running out. There is every possibility that the outgoing Lagos State governor, Ambode, would receive prodigious political indemnity from his injured second term aspiration, given the amount of goodwill he presently enjoys in the power foci of the ruling party and the north. But the post-Ambode Lagos could be a work in the right direction of continuity or revalidation of the shibboleths that tend to change public perception about his performance and justification for the abortion of his term ambition. 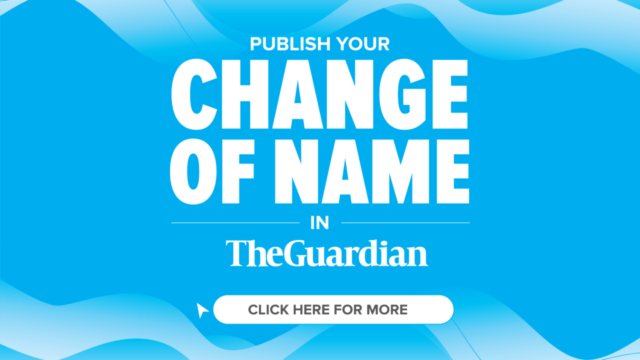 The incoming Sanwo-Olu/Hamzat administration could be caught in the middle of the power game, especially given what happened to current Minister of Power/Works/Housing, Babatunde Raji Fashola, when at the threshold of making it to the federal cabinet, tales of N78 million website and sundry graft allegations started making the rounds. It therefore depends on how Sanwo-Olu/Hamzat administration is able to either continue and complete Ambode’s projects or pander to ignoble attempts at rewriting the history of development of Lagos by creating the impression that after Fashola, Lagos went into political sabbatical in governance. The incoming administration should know from day one that it has just two years to show its capacity and competence in governance and ability to avoid political minefields laid by the exigencies of the 2019 poll. Sanwo-Olu has so far indicated his preparedness to deepen the cause of peace and reconciliation in his victory speech. 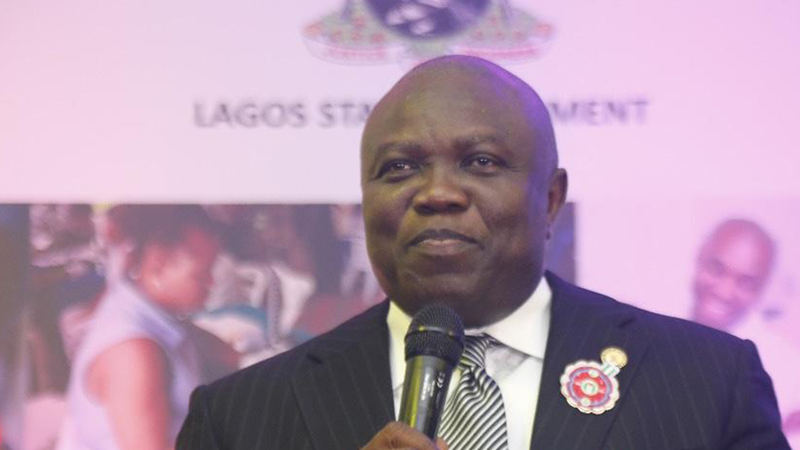 Although the governor-elect noted in his remarks that “certain things which ought not to be said were said during the campaigns,” it is in seeing the stallion contributions of Ambode to his victory that the incoming governor would show how far he is prepared to focus on mandate delivery, knowing that only his works would speak for him even though the snake that bit Ambode might be lurching in the pathway to sting him after four years. On his part, Ambode showed that he has been tempered by experience to prepare for future challenges of statesmanship when he said: “APC is a great party and the interests of our beloved state must always supersede that of any person or group. It is in this regard that I wholeheartedly congratulate the winner of the Lagos State APC Primaries, Mr. Babajide Sanwo-Olu, and urge all Lagosians to immediately support our party’s gubernatorial candidate in the 2019 elections and work for the success of our dear party. The outgoing governor fulfilled his promised to party chieftains that he would lead a strong campaign to ensure victory for the party’s candidates. When the build up to 2023 general election begins, particularly after APC’s mid-term national convention in 2021, it would be easier to understand with the benefit of hindsight, how far the 2019 governorship poll shaped the political temperament of Lagos State.